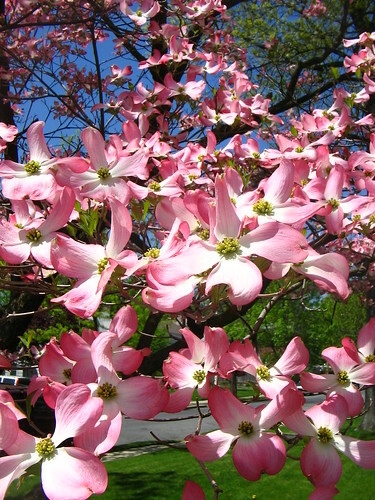 Dogwood tree in suburban New Jersey blooms with bright pink flowers. Pretty. pretty is an understatement, i think.